Being home to an international port in the Red Sea, Al Hudaydah has been the target of deadly assaults carried out by the Saudi-led coalition. 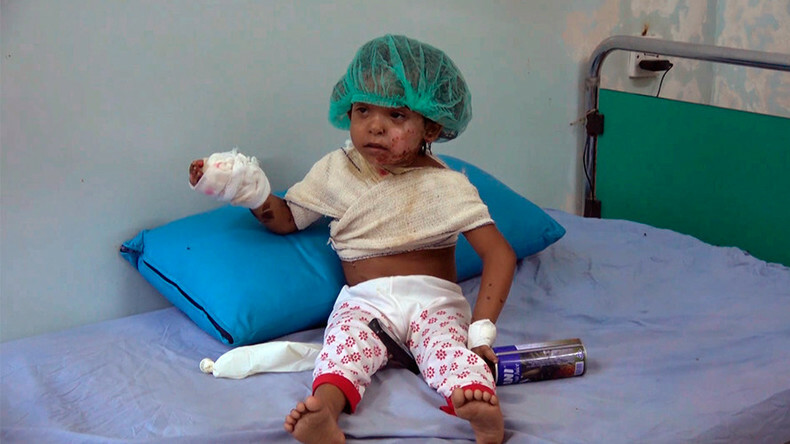 Since it began its military onslaught in Yemen in March 2015, the area's civilian infrastructure, as well as the port have been largely destroyed. 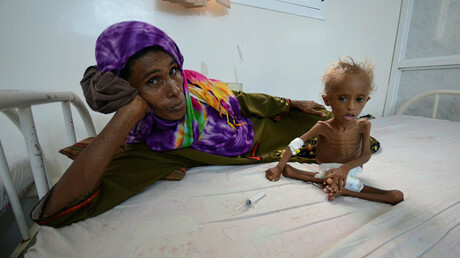 "The number of people suffering from malnutrition is constantly growing since Yemen has been attacked. Poverty rate has also grown considerably. Many people eat just once a day. 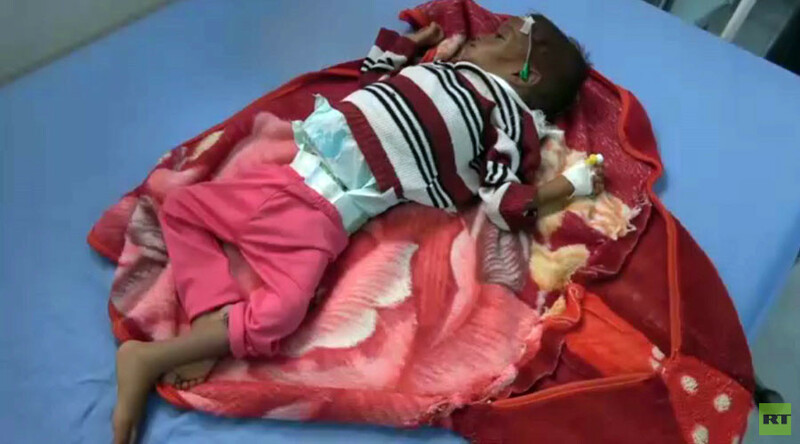 They eat the same food, it's horrible," doctor Usain Al-Abbasi from the Al Hudaydah Malnutrition Treating Center told RT Arabic. The center is the only such clinic in the province. It is now overflowing with children, RT journalists reported. There is a severe shortage of medicine, while other healthcare products are completely absent in the hospital. Its doctors issued an appeal through RT calling on the international community to save the hospital from "catastrophe." "From here I call on all kind people, organizations and corporations for help. I beg you to do something so that our hospital is able to continue operating," doctor Adil Jubran said. "Only Allah knows our suffering. I can't cure my child. Sometimes we have money, sometimes not. I don't know how we're still alive. We do everything we can, the rest is in Allah's hands," a desperate woman with a child told RT at the hospital. "The biggest cause of civilian casualties from the beginning of this war has been the Saudi-led coalition's airstrikes that have repeatedly hit markets, homes, hospitals and schools," Human Rights Watch (HRW) Yemen researcher, Kristine Beckerle told RT. She added the US continues to assist Saudi Arabia in its military campaign, being the biggest arms seller to the Saudis. "On HRW's side we have been calling for many many months that the US stop arming the Saudis," she said. Earlier this month, the organization released its annual report, which said over 4,000 civilians have been killed, most in coalition bombings. Earlier this week, more than 3,000 women took to the streets in the largest city of Yemen, Sanaa in a massive anti-Saudi rally. Female activists carried banners that urged other Yemeni women to "fight for peace," while also staging displaying machine guns and rocket-propelled grenade launchers.